The Tour will provide the participants with an introduction to the history of the Architecture and Urbanism of Havana, a UNESCO World Heritage Site and its urban evolution. The expert guide will be Professor Julio Cesar Perez Hernandez, who is currently Associate Professor at the School of Architecture of the University of Notre Dame. He has lectured widely about Cuban Architecture and Urbanism in the most prestigious institutions in the US, Canada and Europe and has been a guest speaker at many international conferences on Urban Design and Architecture. He is the only Cuban Loeb Fellow in history at Harvard University where he was selected the 2012-Wilbur Marvin Visiting Scholar. Professor Perez Hernandez was Adjunct Professor at the School of Architecture in Havana from 1998 to 2006 and he is the author of two major books “Inside Cuba” (2006) and “Inside Havana” (2011), published by Taschen and drafted “A Master Plan for 21st Century Havana”, a comprehensive urban project for the future development of Havana. He is the author of numerous articles published by professional journals and was guest of the WorldCanvass TV program at the University of Iowa in 2015. His next two books on Cuban architecture and urban design will be published in 2018 by Trinity University Press, San Antonio, Texas, USA. Julio Cesar Perez has led the annual Havana International Charrette on Urban Planning and Urban Design since 2007 and has led numerous International Study Tours for international institutions and VIPs along the past 20 years. Day 1. Morning Walking Tour of Old Havana. 9.00 am-12.30 pm. Meeting at Plaza de Armas. Day 3. Morning Bus Tour of Miramar. 9.00 am-12.30 pm. The Organiser: This Study Tour is organized by INTBAU Cuba who have successfully organised and led similar events since 2007. Professor Julio César Pérez is the Chair of both chapters C.E.U. & INTBAU Cuba. Cost: The registration fee for the International Study Tour is $1,250.00 USD per participant or its equivalent in other currencies, such as Euro, British (Sterling) Pounds, etc. The 12th Havana International Charrette will focus on El Vedado and will build on the previous work developed by INTBAU Cuba since 2007. International developers, businessmen, architects, planners, artists and people in general are invited to join Cuban experts and local communities for a Charrette from 14-17 March 2018 to develop proposals for the regeneration and development of El Vedado district and its waterfront area. 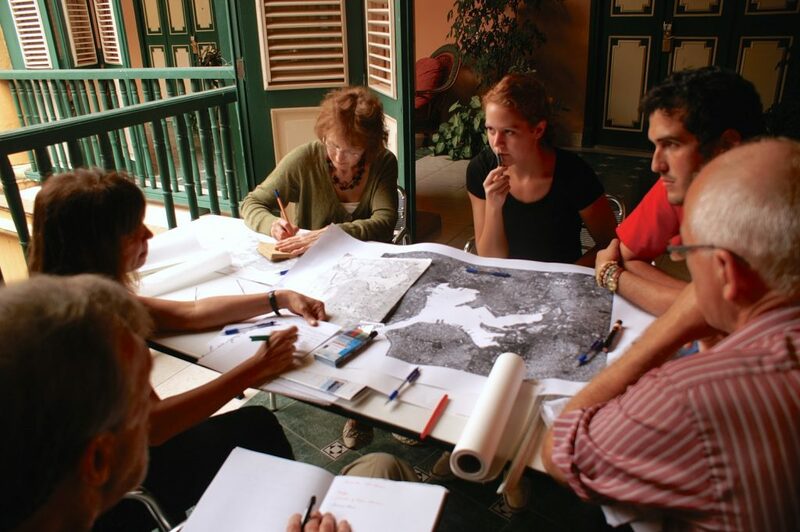 The Charrette will fit both educational and professional purposes and will give participants an introduction to the history of Havana’s cultural heritage through close contact with its traditions, architecture and urbanism while focusing on the garden city of El Vedado and its waterfront area. The Charrette seeks the participation of individuals who share a respectful attitude to new interventions in historical contexts, and who value the creation of places where humans can live in, work in and enjoy. Day 1. Morning Session 8.30-12.30 pm. Introduction. Lectures and presentations. Work in teams. Afternoon Session 1.30-5.30 pm. Studio Work. Preliminary ideas and proposals. Day 2. Morning Session 8.30-12.30 pm. Studio Work. Review of preliminary ideas and proposals. Afternoon Session 1.30-5.30 pm. Studio work. Presentation of preliminary ideas. Day 3. Morning Session 8.30-12.30 pm. Studio Work. Refinement of proposals. Day 4. Morning Session 8.30-12.30 pm. Final Presentation. Introduction: Professor Julio César Pérez Presentation: All Team members. Public Discussion. An especially intense workshop where people meet and work. A Charrette is an intensive planning session where citizens, designers and others collaborate on a vision for development. It provides a forum for ideas and offers the unique advantage of giving immediate feedback to the designers. More importantly, it allows everyone who participates to be a mutual author of the plan through its personal contribution, ideas and work as part of a team. 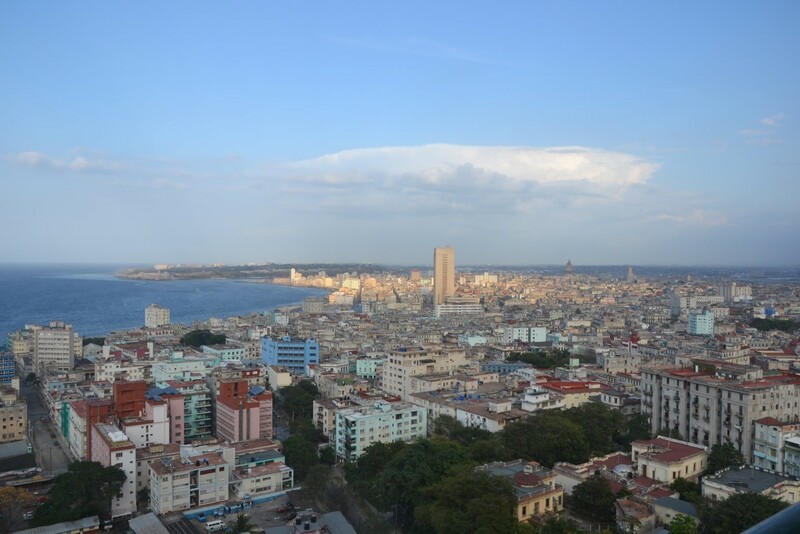 The Charrette is designed for developers, investors, architects, planners and anyone with an interest in understanding business in Cuba; its history, traditions and culture. Our previous Charrettes have brought together participants from Argentina, Australia, Colombia, Cuba, UK, USA, Canada, Norway, Sweden, Germany, Italy, Portugal, Spain, Slovakia and Mexico among other countries. This Charrette is organised by INTBAU Cuba who has successfully organised and led similar events since 2007. 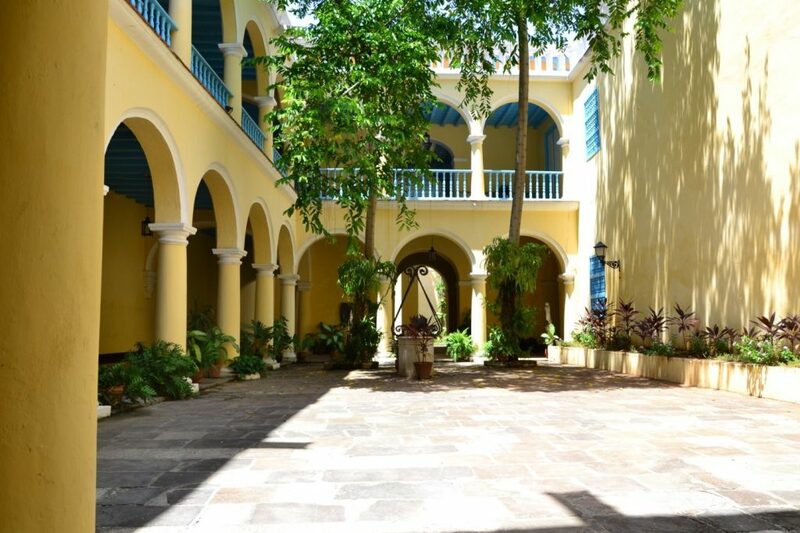 As usual, the Charrette will be preceded by an International Study Tour led and guided by Cuban Professor Julio Cesar Perez Hernandez, whose schedule is available upon request. Cost: The registration fee for the Havana International Charrette is $1,250.00 USD per participant or its equivalent in other currencies, such as Euro, British (Sterling) Pounds, etc. Travel: This is a high-level educational trip. Every participant will receive an official Letter of Invitation from INTBAU UK. It will be used for the application for a visa to travel legally to Cuba. Visas: Every international participant will need a visa to visit Cuba. Airfare: All participants are responsible for obtaining their visas and airfare from the place they live to travel to Havana. This means that all participants must arrange their own trip. Accommodation: All participants are responsible for their accommodation either in hotels or in a Casa Particular (rooms in private houses and apartments).